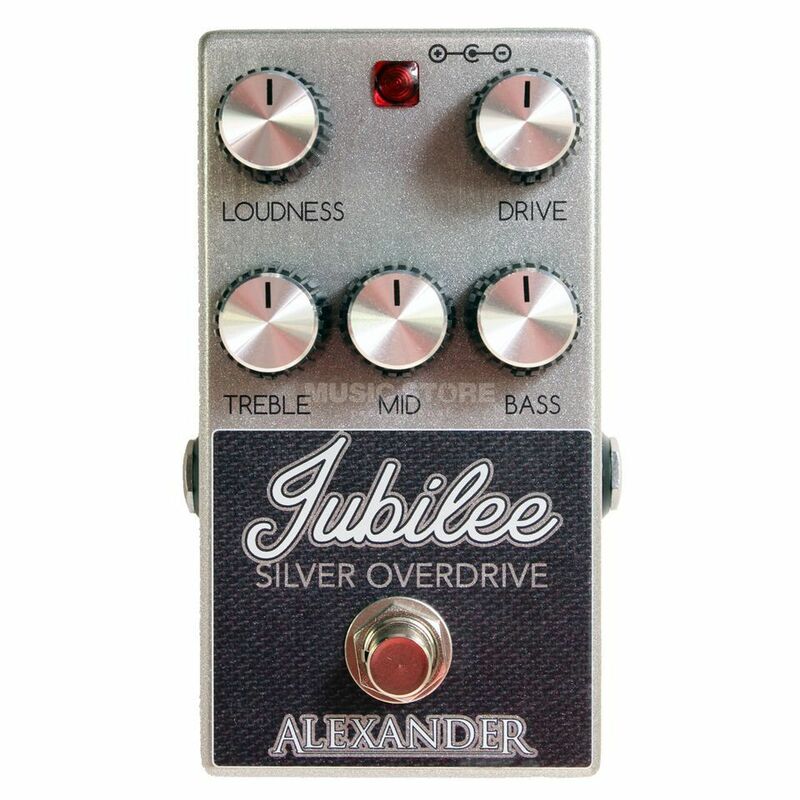 The Alexander Pedals Jubilee Silver Overdrive delivers the right sound for those looking for an authentic British hard rock sound. The gain spectrum of this compact pedal ranges from crunch with juicy mid-bite to powerful distortion that supports driving riffs as well as stinging solos. A classic passive tone stack is available to tune the sound.